RCTgo Forums - Share. Discuss. Explore. Welcome to the RCTgo Forums! Do all this and more with an RCTgo account: Sign up now! New to RCTgo? Get welcomed into the community while introducing yourself. We'd love to say hello! Join in and show off your building skills in one of our forum contests. Discuss and get help for all RollerCoaster Tycoon games, including RCT World! Share all of your creations for all games of RollerCoaster Tycoon here. Get comments on your creation, and link to the download when it's finished, if you'd like. Share and discuss all of your NoLimits 1 and 2 creations. Plus, discuss and ask questions about NoLimits, one of the most realistic coaster simulators. Looking to discuss a game other than RCT or NoLimits? Look no further - discuss any other theme park or roller coaster simulator games here. Ever wanted to talk about anything? Do it here - just make it tasteful! 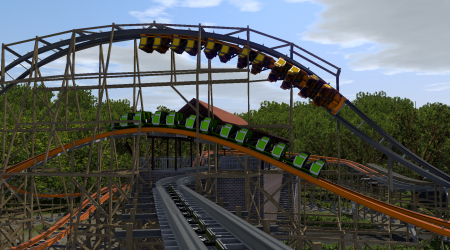 Get the latest RCTgo news and share your thoughts! Having trouble with RCTgo or the forums, or want to share a suggestion? Tell us here.